As of version 14.25, the Black Ice TIFF/Monochrome and ColorPlus Printer Drivers are capable to install multiple numbers of printers on the same computer creating a high volume document converter solution. Multiple numbers of printers can print documents simultaneously which results much faster and reliable document converter solution. To make sure the Printer Drivers can take advantage of the system resources, it is recommended to have at least one CPU core per printer driver. For example: When converting with three Black Ice Printer Drivers simultaneously, 3-4 CPU core is recommended in the computer. 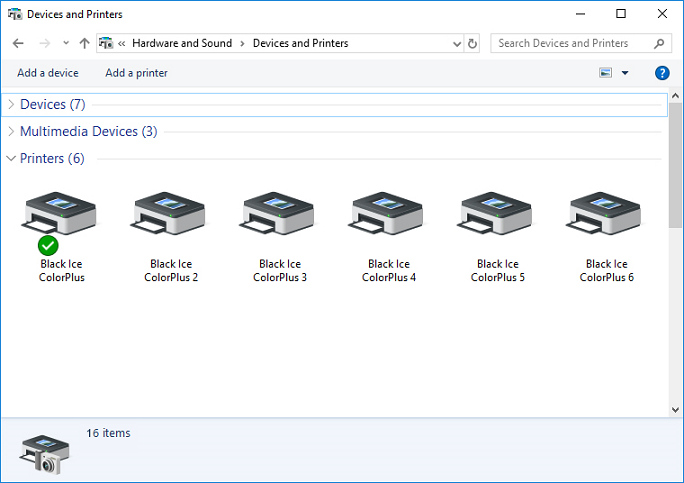 Within the demo period, the Black Ice Printer Driver allows you to have three multi-printers on the same computer. Multiple numbers of printers can be registered with multi-printer license. For obtaining a multi-printer license, please contact sales at sales@blackice.com or +1 561-757-4107. To install 4 and more multi-printers on one computer, please activate Printer Driver by launching the Printer Manager as Administrator from the desktop. Register the installed Printer Driver by clicking on the Register… button on the General tab. 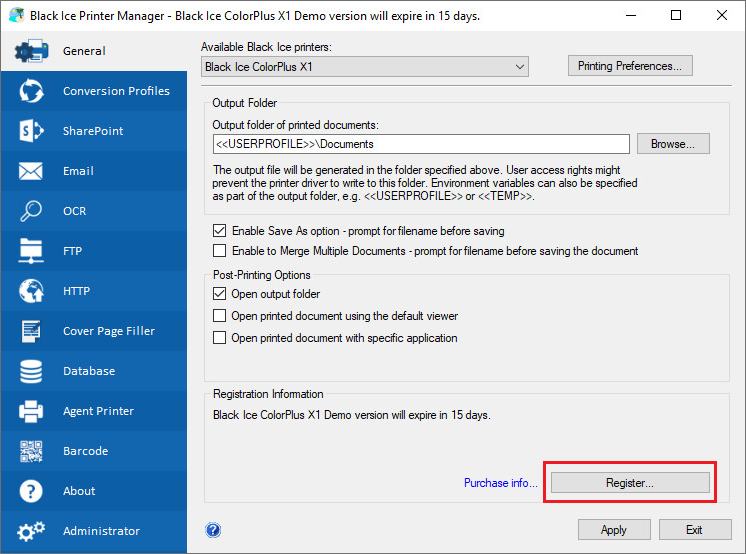 To add multiple numbers of printers on the system, beside the already installed Black Ice Printer Driver, start the executable installer of the Black Ice Printer Driver. 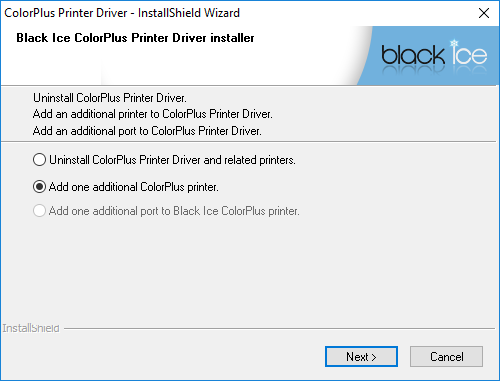 The installer will detect the already installed Black Ice Printer Driver, and offers to add more printers. The printer is successfully added and ready to be used. To add more printers, start the executable installer again and repeat the procedure.